Parry Bellot, a local businessman, is seeking funding to design a feasibility study for a major water export project. Bellot, the Chief Executive Officer of PARBELL Enterprises announced to the press on July 5 that his company had presented a proposal to the Organisation of Eastern Caribbean States (OECS) on May 27, to export bulk water to countries in the region. Bellot said Jamaica and Dominica are the only two countries in the region assumed to to have sustainable supplies of water. He said: "About three years ago I presented a proposal for funding for feasibility on how Dominica could supply other countries in the region that is interested in bulk water, that's to say not water in plastic bottles." Bellot noted that the proposal is based on how Dominica could get serious about the initiative of supplying bulk water. He noted that the water could be transported via boat, utilizing big containers or a special tanker. Bellot noted that another possibility of transporting water is through an underground pipeline. "We have underground pipeline for a lot of things even now we are considering that for geothermal," he said. However, Bellot said that a challenge with bulk water exportation of water include the issue, in the receiving country, of having the capacity to store the water. Bellot noted that Dominica should be concerned about supplying water to countries in the region because Dominica is in a position to supply those who have a problem and that problem is going to get worse. Meanwhile, Bellot said that the United Nations Food and Agriculture Organization (FAO) has issued a report stating that the Caribbean region must boost its efforts to prepare for increased droughts. Bellot added that the report stated that the projection for drought is quite serious and the governments in the region need to get serious in preparing for droughts. 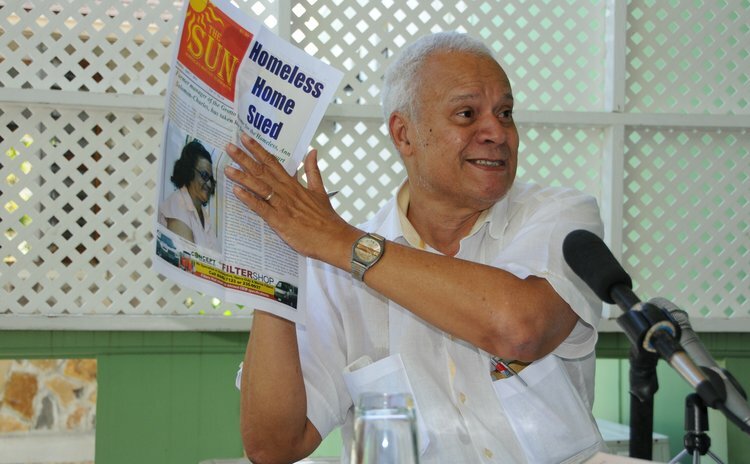 "This report was highlighting the need for CARICOM to get serious in organizing in a sustained way water from the countries that have it to those which don't have as much of it, they call it the water poorer countries," said Bellot.